The Contented Dementia Trust is a small charity with a huge aim – to promote the lifelong well-being of people with dementia. We achieve this through the teaching and use of the SPECAL method, which is based on a particular way of understanding dementia that we call the SPECAL Photograph Album. Our innovative and highly positive approach offers hope to all whose lives are touched by dementia. For many years the word SPECAL was used to describe both our charity and our distinctive approach to care. 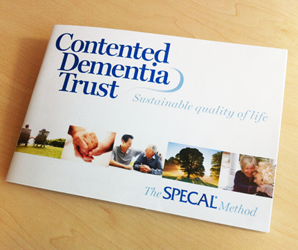 Following the publication of the best selling book ‘Contented Dementia’ which details the SPECAL Photograph Album and the associated method, we have changed the name of the charity to the Contented Dementia Trust which now incorporates the SPECAL method. 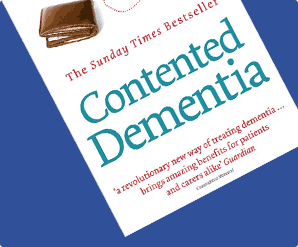 We were so lucky to discover ‘Contented Dementia’. Why doesn’t everyone know about this amazing little charity? We have a simple and highly effective way of explaining how it feels to experience dementia – the SPECAL Photograph Album. The SPECAL Photograph Album leads on to a set of guiding principles and a practical approach to the management of dementia – the SPECAL method. 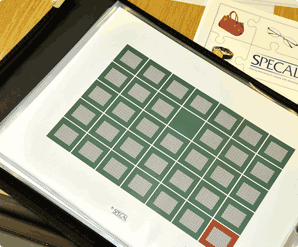 The SPECAL method can be learned and used by anyone who cares for a person with dementia. Our new name makes us more immediately accessible to carers and helps to spread our positive message much more widely. Find out more about us and how the SPECAL method works.